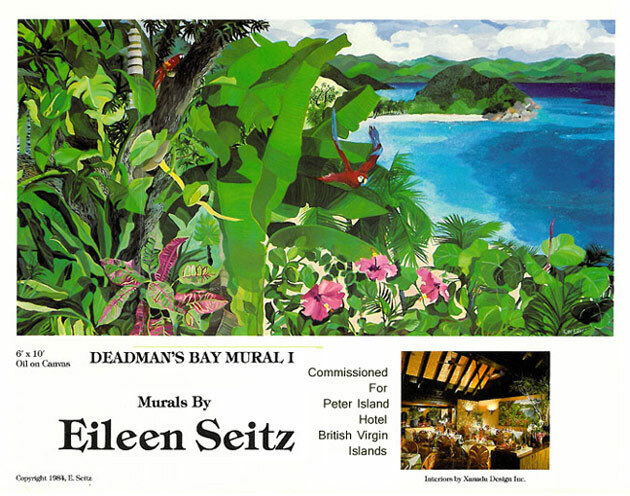 I was commissioned by Peter Island Resort in the BVI to create 2 oil paintings 6ft x 10ft each which were placed in their restaurant. The paintings are called “DEADMANS BAY I” and “DEADMANS BAY II” . The beautiful beach and the quietness of this private island is what attracts people to this remote and pristine resort in the caribbean sea.